Ending the year on a high note with Mr. Rakesh Reddy. 2018 has mostly been a good year for the real estate market of Hyderabad. However, it was not without its ups and downs. New policies, reforms, GST and several other factors made their impact on the market. 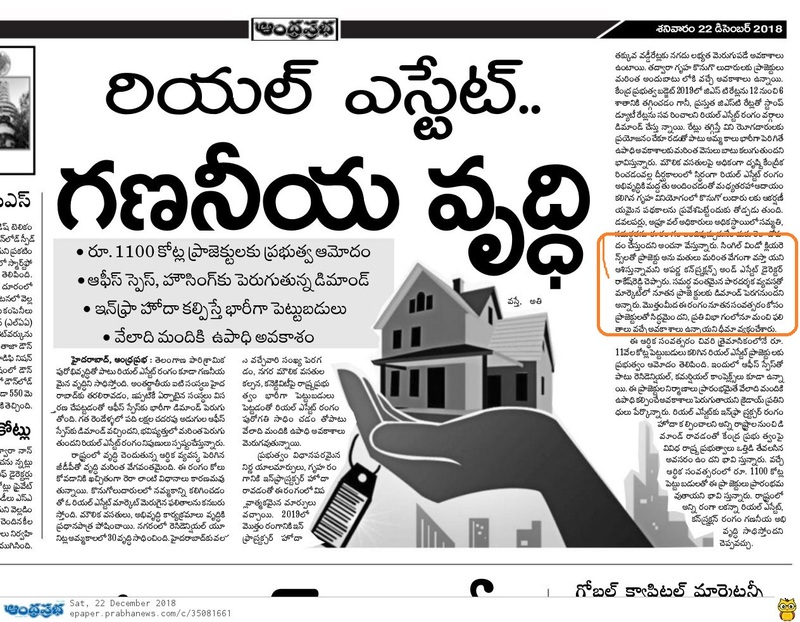 Our Director Mr. Rakesh Reddy spoke to Visalaandhra and Andhra Prabha and had a look back at the year gone by. To know more click below.